Blizzard has a new, unannounced game coming down the pipeline. Currently, we know that Blizzard Entertainment is working on the second and third parts of the StarCraft II trilogy, Diablo III, and an MMO codenamed Titan. According to a job posting, the company may also have a fifth title in development. GameSpot noticed that Blizzard is hiring a software engineer for an "Unannounced Game Title." The listing is separate from the "Next-Gen MMO," which refers to Titan, and all other Blizzard titles in development. 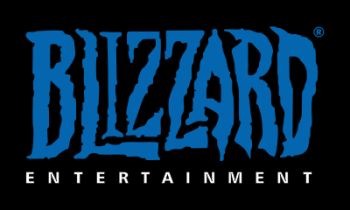 The listing writes: "Blizzard Entertainment is on the hunt for a creatively minded and talented individual to serve as tools engineer for its newest game team. This is a key role on a new and exciting project within the company." Blizzard is definitely working on unannounced World of Warcraft expansions, but I doubt it'd refer to an expansion pack of any kind in this manner. A leaked and very unconfirmed Blizzard launch schedule gives us the only clue we may have, with a rumored project listed as StarCraft II: Phoenix scheduled to make an appearance in late 2011. Other than a World of Warcraft app, Blizzard has remained hands-off in the console, handheld, downloadable (PSN and XBLA), and mobile markets. My best guess is that this unannounced title will be the company's current-gen entry into a field other than the PC, if it isn't Starcraft: Kinect.